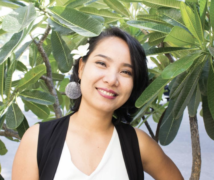 Kounila Keo is one of the top 5 Cambodian bloggers. She gave us an interview regarding to the actual situation in education and opportunities for students in Cambodia. Kounila in Ethiopia on a reporting tripAs Kounila Keo – founder of www.blueladyblog.com – is titled as one of the five top Blogger in Cambodia in the Phnom Penh Post, we are really appreciated, that she gave us an interview. Read her interesting answers about education and opportunities for young people in Cambodia. 1. Can you give us a short overview about yourself, how you became a journalist and what you are doing today? My name is Kounila Keo. ‘Kounila’ was given by my mother. By profession, I am a freelance journalist. By passion, I am a blogger, a trainer and an event organizer. I graduated in Media & Communication at Royal University of Phnom Penh in 2010. Back in 2007, I applied for “Media Management” courses, not knowing I would become a journalist one day. I guess, journalism found me. I started working for Agence France Presse during my sophomore year and foreign media publications since 2008. When I am not writing news reports, I blog about social issues and everything Cambodian atwww.blueladyblog.com. I have been blogging since 2007 because there was so much on my mind which I wanted to share with the world. Nowadays, I write, train young people, university/high school students, artists, professionals on social media and journalism. When I’m free from work, I organize events. 2. Which kind of education does a journalist need and how difficult is it in terms of the education system in Cambodia? A journalist needs a broad range of knowledge or education on media law, the country’s law, policy making, news writing, and the list goes on. Theory isn’t enough for journalists who want to perfect their craft. Practice is the key. If you ask how one can become a journalist in Cambodia, there are several ways to become a journalist here. Cambodia was never strong on educating journalists. At the same time, there aren’t many institutes that offer journalism courses. Some people who were passionate about writing news for the public strive to get experience at a newspaper or radio though they have never taken journalism courses. It is not however easy to become a journalist in Cambodia especially amidst this struggling education system that Cambodia has had so far. Our education system from high school to university needs improvement, and only that will bring prosperity to the country with the population of about 15 million people. Journalism is never a well-respected profession. Fo a lot of people, journalism sounds like a risky business, ; therefore, not many people are interested in this profession. This perception still prevails in Cambodia and her neighbouring countries. Having said all this, I can tell you that the Department of Media and Communication offers four-year scholarships every year to young high school graduates. The four-year scholarship offers a wide range of subjects including news writing, Public Relations, Marketing, research and multimedia productions. 3. How important are new technologies for you and your job and are they educated enough at school? New technologies are very important for me and my job. I wouldn’t be able to do much without them, really. Journalists have to adapt to a lot of change of how news is viewed by people. It is crucial that journalists catch up with the newest trends. For example, Mobile and Internet are the future of journalism. If journalists or people don’t keep themselves updated, they will feel left out sooner or later. However, in Cambodia, the field of technology at school is not well-developed, and it needs a lot of efforts from policy makers to make change to the existing system at high school or universities. 4. Which problems do Cambodian young students face in terms of availability of resources? The biggest problem in Cambodia is the very big gap between the rich and the poor. It doesn’t even leave any room for the middle class family to grow. With that said, we still have a very small middle class in Cambodia, which is gradually increasing. In respect to your question, many young Cambodian students face problems with access to resources such as school facilities, easy access to technologies (Internet) and up-to-date lessons at school, lack of practical exercise as well as extracurricular activities. In rural areas, students drop out of school because their parents can’t afford breakfast and school buildings are very far from their house, which they don’t have any means to sort out. Furthermore, teachers don’t get paid a decent wage/salary, so they don’t teach so well that they have to give out extra classes for which students have to pay more. The vicious circle keeps repeating in Cambodia’s education system. 5. The education system is worldwide in crisis. Many experts complain, what they learn is not needed. How is it in Cambodia? In Cambodia, what we learn at school is not enough. According to the real market, we need more Cambodian engineers and technicians, but we see that many choose accounting, management and office-related majors, which results in difficulty to find the right jobs for themselves. Eventually, they have to take odd jobs that don’t fit their qualifications. Also, Cambodia needs investments in infrastructure, which will make investors confident and ready to invest in this small country. 6. What are the expectations of young adults: Going to University is the best choice in life? What do you think? 7. What do you think about intercultural dialogue in terms of entrepreneurial thinking? I am an advocate of intercultural dialogue in relation to entrepreneurial development, because only by starting dialogues or conversations, we will then learn about other countries and bring back what can work for Cambodia, for example. 8. 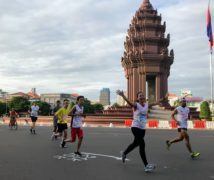 How could young people from other countries help Cambodian people? There have been efforts that put young people from other countries in touch with Cambodian people. By making them meet and exchange ideas, this opens the world of young Cambodians. They will then be exposed to new ideas and thoughts. It doesn’t matter if they can’t accept them right away, but this enables the thought process to work. That’s why I co-organized BlogFestAsia 2012 with friends because I believe that by bringing young bloggers together, they could create conversations and therefore network. Even, young Cambodian people themselves can help other Cambodian people. My friends and I have taken initiatives to found a youth group like Kon Khmer Koun Khmer (Khmer Generations, Khmer Films) and to organize events like FilmCamp,Khmertalks and several upcoming events which I believe will greatly benefit other (young) Cambodians. 9. What would you recommend young Cambodian people out of your experience? Travel. Keep travelling. Never accept the status quo. By travelling, I don’t mean that they have to purchase a plane ticket and step into the plane right away. What I’m saying is that they have to start observing wherever they are and make the best of their moments. It doesn’t matter where they are but whom they are travelling with every day. Besides, it is useful to keep writing their experience somewhere like in a blog or a diary to learn about their own thought process. Young Cambodian’s journey might go on a long, winding road, but every moment is worthwhile. I also want to say that the future of Cambodian society also depends a lot on small and medium entreprises which can help raise ourselves out of poverty. Waiting for employment is one thing, but creating job opportunities for oneself and others is a very important step. You can read other articles about me here: www.kounila.com and explore more of www.visit-angkor.org.